Sport Inclusion Australia and Down Syndrome Swimming Australia have recently signed a Memorandum of Understanding (MOU) to work together to promote opportunities for swimmers with Down Syndrome. Established in 1986, AUSRAPID was formed to provide opportunities for people with integration difficulties, primarily intellectual disability, Sport Inclusion Australia’s Vision is “Community inclusion through sport”. Working closely with National Sporting Organisations, Sport Inclusion Australia has been instrumental in ensuring that people with an intellectual impairment have opportunities to participate in the sport of their choice, and through their work with the Australian Paralympic Committee and INAS, athletes also have an elite competition pathway should they choose. Down Syndrome Swimming Australia was formed in 2004, formerly Down Syndrome Swimming Down Under, to enable swimmers to compete in quality International competition. The inaugural event was in 2004 and Australia has competed in every event since with great success. In 2017, INAS and Sport Inclusion Australia have expanded their charter to include athletes with an intellectual disability and significant additional impairment (Down Syndrome) and athletes with high functioning autism. These changes initiated discussions between Sport Inclusion Australia and Down Syndrome Swimming Australia to work in collaboration to ensure better opportunities and resourcing was provided to swimmers with Down Syndrome. “We have worked extremely closely with Down Syndrome Swimming Australia since its inception, due to our shared philosophy, so it is extremely exciting to be signing this MOU to ensure that opportunities for swimmers with Down Syndrome continued to be improved” said Robyn Smith Chief Executive Officer of Sport Inclusion Australia. With a proven record working with sporting organisations to provide opportunities for athletes with an intellectual disability, and with the changes made to expand their charter to include a wider remit in the intellectual impairment area, Sport Inclusion Australia will now represent athletes with Down Syndrome when liaising with National Sporting Organisations. 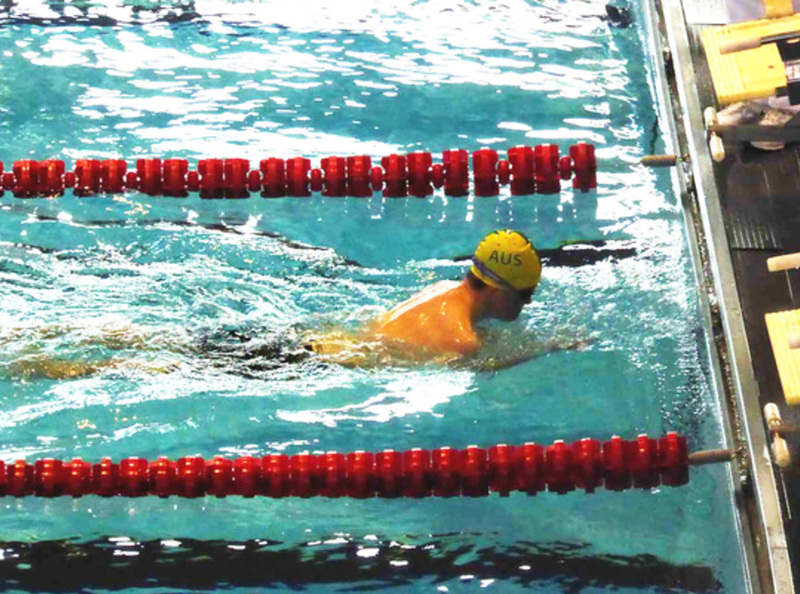 “We are pleased to formalise our working arrangements with Sport Inclusion Australia, particularly with the INAS mandate to expand International competition to include our swimmers.” Said Simon Cox, President of Down Syndrome Swimming Australia. The first INAS event to include Down Syndrome as an additional class will be the 2017 INAS Swimming Championships in Mexico in November, with the 9th Down Syndrome Swimming World Championships to be held in Canada in July 2018. Locally the Down Syndrome Swimming Australia short course National Championships will be held in Geelong from the 23rd to 24th of September.